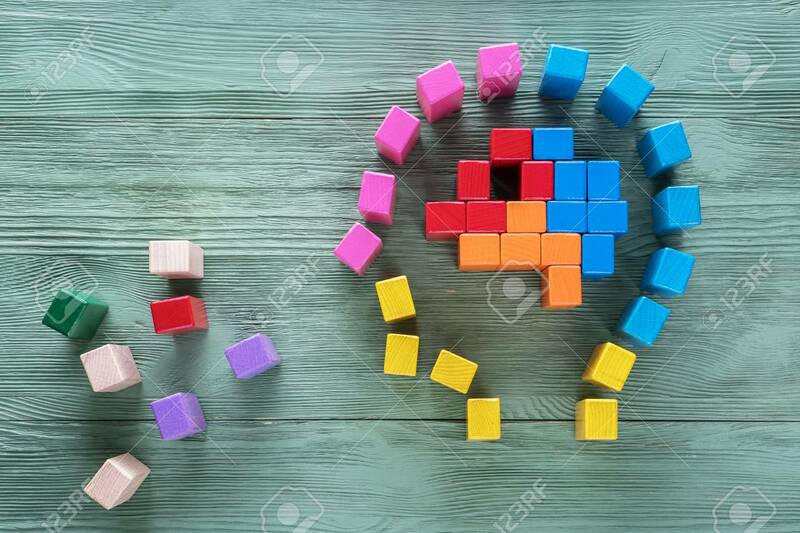 Human Brain Is Made Of Multi-colored Wooden Blocks. Creative Medical Or Business Concept. Logical Tasks. Conundrum, Find The Missing Piece Of The Proposed. Lizenzfreie Fotos, Bilder Und Stock Fotografie. Image 104353123.